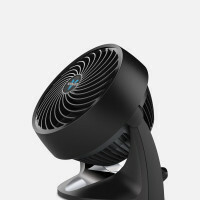 The 533 Vornado compact air circulator uses signature energy efficient Vortex Action to move air up to 70 feet, providing whole room air circulation. Despite its small size, the 533 is more powerful than an 18" commercial fan! Its compact size makes it ideal for use in an office, dorm room, cubical, bathroom, or other small spaces. It evens room temperature and eliminates hot and cold spots. This air circulator can be placed on the floor or tabletop. 3 speed control to adjust airflow from whisper quiet to a powerful high setting for quick room circulation. 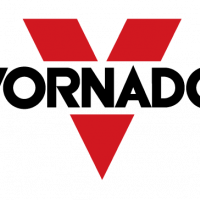 The Vornado Compact Circulator allows you to raise thermostat up 5 degrees in the summer and still maintain the same level of comfort. This practical home appliance can also help you to save up electric expenses. Unit 108, # 11 Katarungan St.